New Year’s Eve we always get together with our good friends — laughing, talking, playing games late into the night. We finish off our evening by watching one of the firework shows as it airs and hooting and hollering our excitement for the new year. We cheer with our Simple Mixed Berry punch recipe (a drink that the whole family can enjoy) as we clink our glasses for the New Year! Being together for usually a good 4-5 hours before midnight strikes, it’s essential to prepare snacks and drinks to ring in the new year! I’m always experimenting to make a fun and festive drink that feels fancy and fit for the occasion that doesn’t contain alcohol. This one perfectly fits the bill! This post is sponsored by Simply Beverages, but all opinions expressed are my own. You can mix this punch into individual cups or into a big punch bowl, depending on your party size. For individual cups, use equal parts Simply Mixed Berry Juice Drink and Sprite and then toss in a few frozen raspberries. 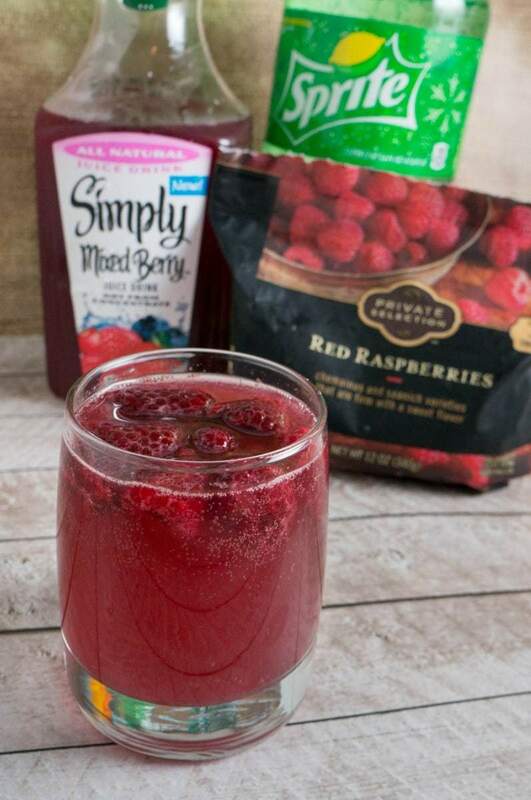 For a punch bowl, combine the entire bottle of Simply Mixed Berry juice and Sprite together in a pitcher, bowl or drink dispenser. Add in frozen raspberries or a berry medley with raspberries, strawberries, and blueberries. The Sprite gives it a punch of carbonation that makes it feel like a festive party drink and the fruit gives it a great look and keeps the punch bowl cool similar to adding ice but with a fancier look in your punch bowl. They’ll also add a bit of tart fresh fruit flavor. 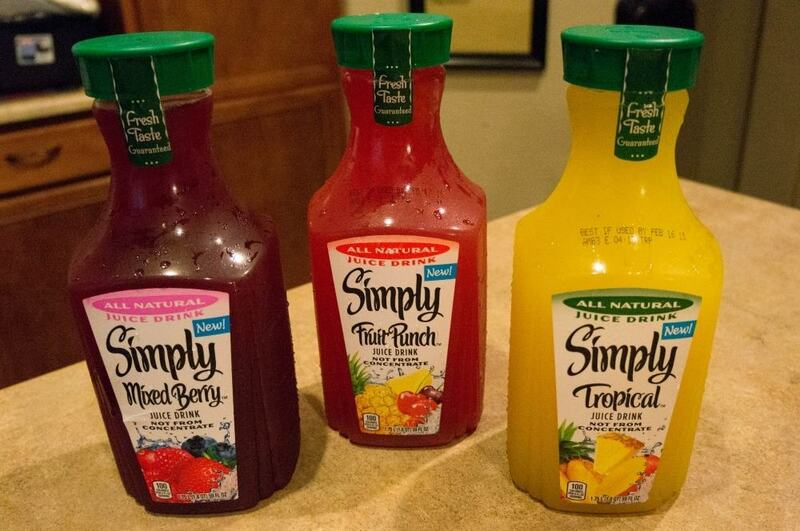 Simply Beverages just introduced three new flavors, including their Simply Mixed Berry flavor along with Simply Tropical and Simply Fruit Punch. These delicious fruit drinks are made with all-natural ingredients including real fruit juice with no added preservatives, colors or artificial flavors. We’ve really loved all of the new flavors. The Mixed Berry Juice Drink tastes great on it’s own, but combining it with a few other ingredients makes it party ready. The tropical juice drink is totally up my alley! I love anything pineapple! It’s really good! My kids loved the Fruit Punch flavor the best, though they we all really enjoy all three of the new flavors. To learn more about these new flavors or to find more Simply Juice Drink themed inspirations, head over and like the Simply Orange Juice Facebook page! 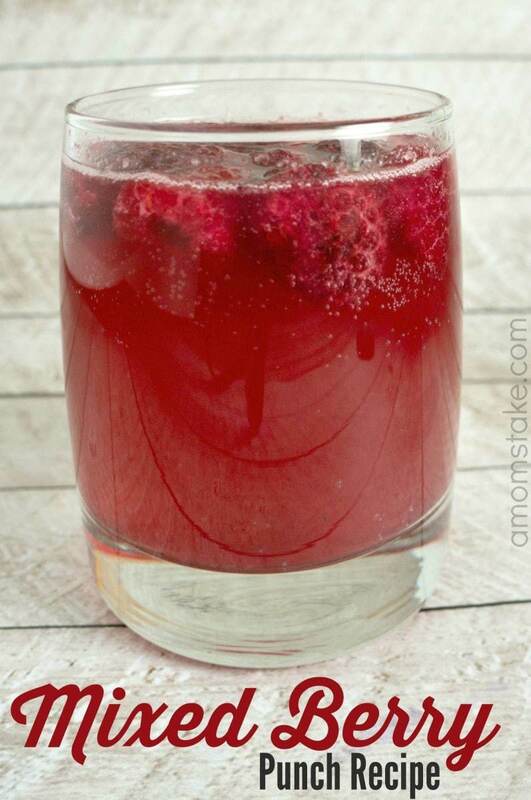 I hope you enjoy your festivities with this Simple Mixed Berry punch! Such a beautiful drink. Thanks for sharing with us at Funtastic Friday. Hope to see you again real soon. I would love to try the mixed berry with 7-up! I like the Berry….. I would also add some fresh berries for an added touvh. Thank You for the giveaway…would like to try the Simply Tropical; I think we could fashion a tasty version of a piña colada with it! I like the Mixed Berry. I would add some rainbow sherbert to it as well as some strawberries and raspberries. I would try the Fruit Punch with some soda. I would love to try the Mixed Berry and add it to a little ginger ale. i think the fruit punch one looks fun, i would add club soda with it and add berries! I want to try the Mixed Berry flavor. I would add ginger ale. The mixed berry looks so refreshing and I would buy that. I would love to try the mixed berry flavor and do half and half with some Sprite! I’d mix the Tropical drink with bits of pineapple. I’d like to try tropical with vodka. I would love to try The Fruit Punch and mix with some pineapple chunks and sprite!! The Mixed Berry looks amazing! I’d love to add some growp up drinks to the mix also! I would like the Tropical flavor, perhaps mixed with some sparkling water. The Simply tropical sounds delicious and would go great mixed with a little Malibu rum. I really want to try all three! I think first would be the Tropical because I already love the orange juice with pineapple. I would mix mine with rum though. The mixed berry looks yummy, I would look for recipes for punch or use yours but I would probably mix with some 7-up. I like the mixed berry and I can’t wait to try out this punch for our next family party. We love the Simply drinks! This drink recipe sounds like a yummy one! Thanks for sharing. Love to try the mixed berry flavor, sounds delicious! I would love to try the Simply Tropical with vodka. he fruit punch is the one for me, I would punch it up by adding fresh berries, some sherbert and a little vodka! Mixing Fruit Berry with the seasonal fruit would give it a festive look especially in the summer! The Mixed Berry sounds yummy! I would love to try the fruit punch, sounds delish! I think the tropical and mixed berry both look really good. I am not a very fancy drinker but maybe some flavored vodka in each would jazz it up. I would try the fruit punch and add strawberries. Yum! I would like to try the mixed berry and think it would be great with diet gingerale and if appropriate for the occasion, raspberry sherbet. The Mixed Berry sounds great! You could add some vodka or some Godiva chocolate liqueur to party it up! The tropical flavor sounds good, I’d mix it with some whipped vodka. I would try the fruit punch flavor first and kick up some flavor with peaches. I think the tropical flavor would be good with a little bit of Malibu. Love the Simply Juices can’t wait to try the juice drinks, they all sound yummy and refreshing. I will try the Simply Tropical first. mixed berry and I would add pinapple juice to it . I would like to try the Fruit Punch flavor mixed with Sprite. I’d like to try the mixed berry and I’d mix it with vodka! I would love to try the mixed berry. I would like it with strawberry shorbert icecream in a punch. I would like to try the mixed Berry and I would mix it with sparkling wine and ice cubes. I would like to try Mixed Berry and I would mix it with orange juice. the mixed berry punch looks delish, not to mention fancy as the recipe you show us. I want to try the fruit punch. I would add sprite and sherbet ice-cream to mine. I would like to try the mixed berry flavor. It looks like it would make a great addition to trash can punch! The Mixed Berry would be great with a splash of sprite. I would like to try the Mixed Berry. I would add Sprite and some fruit like you did. I think that’s perfect. The tropical flavor sounds delicious, and I’d mix it with some rum. I would LOVE to try the tropical with a little cream of coconut and a plash of tequila! I would like to try tropical. I would want to try the tropical and put some coconut rum. I would love to try the mixed berry but all 3 of those look great. I love juice and especially this brand. I want to try the simply fruit punch! I’d add some fruit in it, probably strawberries. I bet it would be delicious! I would love to try the tropical, and I might mix a little vodka with it. I would love to try the Simply Tropical Flavor first. I love mango. I could see adding the Sprite and mango chunks for a festive party drink. I would take the mixed berry and add some crushed ice and fresh fruit and make a healthy slushy. I would make the tropical into punch using sprite and add fresh peach slices. I would try the Tropical and add some ginger ale to it. I would like to try the Simply Fruit Punch. I would add some Sprite or 7Up to add a little fizz to it. I’d like to try fruit punch! And I’ll be honest…let’s kick it up with some vodka to make it party ready! I’d like to try the Mixed Berry flavor. I would love to try the mixed berry. It would be a great addition to my morning smoothies! I’d like to try the Fruit Punch, maybe with a splash of rum at a party. Thanks! I would try the Mixed Berry and add some Sprite, vodka and fresh fruit for a fantastic punch. The Mixed Berry would be my favorite. I would use the Tropical flavor for a party and add pineapple and mango slices to it in a punch bowl to serve. I would love to try the Tropical! I may add it to our homemade popsicles. Id like to try the fruit punch! I would try the tropical juice with malibu. Look I am sold! I love the Simply brand…like everything! I didnt know they had a new flavor so I am checking this out ASAP! I would love to try the Mixed Berry flavor most! My preference is for Simply Tropical. This would be wonderful mixed with either a ginger ale or sparkling wine… and maybe served over crushed ice. I would like to try the Fruit Punch flavor. I would add some banana chunks to it! I’m not sure, it would depend on my mood. Both the Mixed Berry and the Tropical sound lovely. I would choose fruit punch. My kids would love to try the mixed berry, I would add Ginger ale to it! I’d like to try the mixed berry. I would love to try the mixed berry! My favorite flavor! I would choose fruit punch. I would add a little sprite and fancy it up for the kids. I would like to try the Mixed Berry flavor. Sounds right up my alley! All the flavors sound amazing but I would most like to try the Simply Tropical flavor and add a little extra boost with my favorite vodka for those special girls nights :)! Fruit punch! I would mix this with vodka. This looks like a very tasty and refreshing drink. Thanks for sharing. I am going to make this as I love the taste if mixed berries. I’d really like to try the mixed berry. Thanks for hosting! I would most like to try the Mixed Berry. It looks delicious. Forgot second part: I Would add sprite to it to make it sparkle. I’d like the tropical flavor and add some fresh pineapple and ginger ale. The tropical flavor sounds great! I would love to blend it with some vanilla ice cream. I love punch. I’m a little nervous about berries right now since I broke out two summers ago. That never happened before and then it did. I would still love to try this. Mixed Berry sounds refreshing and I know all of my kids would love it! I’d most like to try Mixed Berry. This looks delightful and refreshing. And so simple, too! Now that looks like my type of refreshing drink. I’d like the fruit punch and I would add orange rings to spice it up. We do a punch like this only using squirt instead of sprite. Gives it a little more zip. Oh I would love to try the Mixed Berry! That would be good in a daiquiri! YUM! I am a big fan of fruit punch. I bet it would be even better with some rum. Yum. Sprite is one of my faves so I’m pretty sure I would love this! It looks delicious and very refreshing! Looks like a delicious punch! My husband would love this, maybe adding some vodka too! Simply Tropical is perfect here in Hawaii especially with kiwi fruit and pineapple! The MixedBerry flavor sounds great! I think I would mix mine with plain club soda for a fruity fizz. I would like to try the mixed berry the most. I am not sure how I would punch one of the flavors. Thanks for the giveaway! The tropical sounds really good. I also can think of many things to do with all the flavors. I want to try fruit punch. I would add some Sprite to it. I would like to try Simply Tropical juice. I would mix it with some coconut rum. This looks fantastic. I can’t wait to try the mixed berry flavor. Simply Juice is one of my favorite drinks. the tropical sounds the best to me! I would like to try Simply Tropical juice. To make it into a party drink I would add orange sherbet and sparkling water and garnish with lemon slices. We drink Simply Orange all the time, so I will definitely be trying the Mixed Berry! It sounds awesome. I want to try the tropical simply juice flavor! I’d blend it with some ice and chunks of pineapple! I would try the tropical flavor in some coconut rum. I really want to try the mixed berry. The mixed berry punch in a tall glass filled with ice would make a refreshing morning wake up drink. At night this would make a great Sangria. I would love to try the Fruit Punch the most. We LOVE fruit punch in our family, so I would love to give that flavor a try! I would try the mixed berry recipe with the raspberries – so festive! The tropical I would love to try. I would spiff it up for a party with some coconut rum! I would like the Mixed Berry — mix it with some 7UP and it would be a good punch drink. I want to try the mixed berry and use it for New Year’s party drinks. simply tropical sounds amazing!! i would add some malibu rum for a party drink! The Simply Fruit Punch looks and sounds yummy. I would mix it with ginger ale for a party drink. I want to try mixed berry! I’ve tried the other 2 flavors before. I would add fresh fruit to make it tastier! Thanks Janel! I want to try the Mixed Berry! I would add some champagne to it–it would be delicious! I would like to try mixed berry. I would add either lemonade or ginger ale to make it taste great for a party. I am addicted to Simply Lemonade and Simply Limeade. 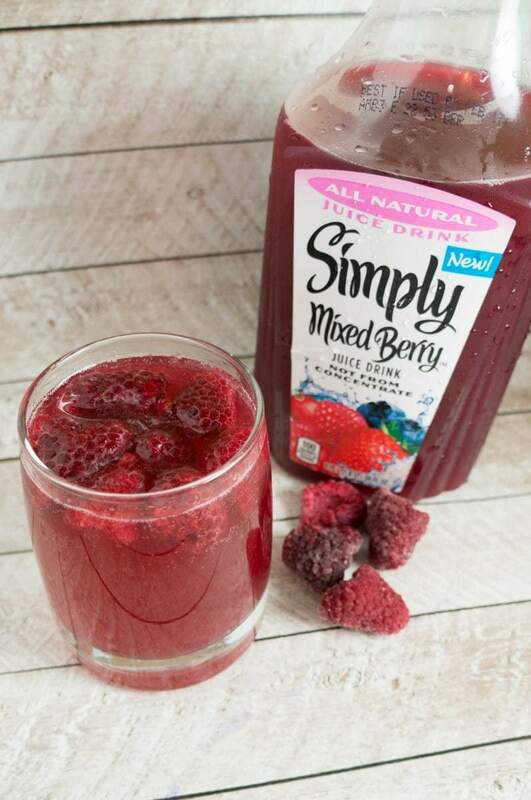 I would love to try the Simply Mixed Berry. I would like the fruit punch. I think it would be great with seltzer and sherbet for a holiday party. I’d make mimosas with the tropical juice. I’d like to try the Tropical…and I’d add sparkling water and/or maybe some pineapple chunks. I’d like to try the Tropical Simply Juice – and I would add pineapple lemon sherbet & Sprite to make a Tropical punch. I would really like to try the mixed berry flavor. It would be delicious in a smoothie! I’d like to try the mixed berry and would serve it with orange slices. I’d like to try the Mixed Berry and I’d punch it up adult style with some tequila and ginger ale for an adult berry punch! I think I would like the tropical best. I would mix it with Sprite and make mocktails with it. Simply Tropical! I would mix in some ginger ale a little sherbet to make a great punch! I would love to try the Simply mixed berry. I’d like to mix with ice cream and berries for a New Year’s Eve punch. I’d like to try the fruit punch. It would be great for a kids’ birthday party. I would like to try mixed berry and I would add pinapple juice to it . i would like to try the fruit punch and i think i would like to make a cocktail out of it with a little bit of vodka !! Mixed Berry–Mix sprite-cranberry juice–great !!!!! I’d love to try the Simply Tropical flavor. I’d add seltzer to it for a party! I would love to try the Mixed Berry!! I would put it in some punch for a bridal shower! Which of the three new flavors would you most like to try? I would love to try the Simply Tropical. I bet this would be good with a little spiced Rum added for a party drink. I want to try the Pineapple Orange juice. I would add some vodka. I would love to try the fruit punch with some mango juice! I would like the mixed berry, would be great at my new years party! I would like to try both the Fruit Punch and Mixed Berry. Both look quite refreshing and versatile. I’d like to try the tropical. I’d add fresh pureed banana, crushed ice, and some 7UP…maybe some pineapple sherbet too. I bet it’s delicious! I would love to try the fruit punch first. If you add some vodka, I’ve heard it would taste like a jello shot. Sounds Great! I’d like to try the fruit punch. I’d LOVE to try the mixed berry with sparkling wine for a berry bellini, great for brunch! How about a simple Fruit Punch w/ Rum and a healthy splash of pineapple juice. The new Tropical Punch flavor seems really tasty. I would garnish it with some pineapple slices. I would love to try the mixed berry or tropical varieties. They sound really good. Thank you!! I can’t wait to try all 3 flavors! I love Simply products. They all taste so good. I think the tropical would make a refreshing punch with coconut rum, lots of ice, some pineapple chunks & maraschino cherries on a spear. We would love the mixed berry. I think it would be nice in a tall glass with ice and a small bit of vodka. I’d like to try the Fruit Punch because it reminds me of childhood. I would add diet lemon/lime soda to punch it up. I’d most like to try the Simply Tropical. I’d punch it up by adding vodka. I would love to try the mixed berry. I’d punch it up with some melon balls. I’d like to try the Fruit Punch. Yum. I would like to try the mixed berry, but they all look great! The mixed berry sounds the best to me and I would make some sort of cocktail with it. I’d love to try the Fruit Punch flavor the most. I would try the mixed berry first. These would be great for get togethers. I would like to try the Mixed Berry punch recipe. It sounds really good. The tropical sounds really good to me. I bet it would be good with sprite for a little fizz. I like the Tropical flavor. This product would be great for a punch. Mixed berry punch sounds delicious. Can’t wait to try it! I make spiced punch and the mixed berry would be great for that! I would love the mixed berry and would add Vanilla ice cream in a punch bowl! I would use the tropical flavor and add some seltzer and a pineapple spear garnish. I would definitely try the mixed berry punch. YUM! I would make Christmas punch with it. I would like to try the tropical flavor. Their OJ and lemonade are already my favorites – you can always find them in my fridge. The Simply Tropical looks amazing, and as a party drink I think it would work well with Fresca or Sprite with fresh fruit mixed in. The mixed berry sounds best to me but I drink a lot of juice so I think I would love all of them. Fruit Punch is the one I’d like the most, I would like to pour it in a pitcher and add a can of drained mixed fruit to the punch.